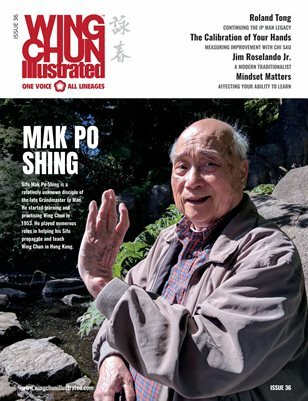 Issue 36 of WCI features Sifu Sifu Mak Po Shing on the cover. Mak Po is a relatively unknown disciple of the late Grandmaster Ip Man. He started learning and practising Wing Chun in 1953. He played numerous roles in helping his Sifu propagate and teach Wing Chun in Hong Kong. Many of the most well-known and notable Wing Chun masters today openly admit they were once his student or have sought instruction from him as a Sibak (Gung Fu Uncle). For a complete table of contents, please visit our website.